With all of the hype behind fantastically expensive one-named designers, we sometimes forget that somewhere down the line, one individual person actually opened up a store and probably never dreamed their clothes would sell for thousands of dollars (with a couple of exceptions, as you'll see). Here are the stories behind some of those one-named designers. Guccio Gucci opened a small saddlery shop in 1906 and started selling practical leather bags to his horsemen customers sometime in the '20s. The quality of his work was so outstanding he quickly gained a reputation and started to expand his line. 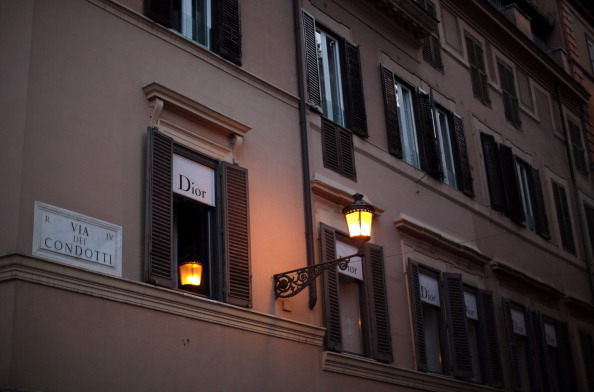 By 1938, he had a second store in Rome; the third store opened in Milan in 1951. By the time the fourth store opened in Manhattan in 1953, Guccio had died and his sons were running the business. The brand was hot for a while, thanks to famous customers like Jackie O., Grace Kelly and Audrey Hepburn. But the '80s were not good to Gucci—Guccio's grandsons were running the company into the ground. They started to dull the appeal of the high-end brand by agreeing to strange partnerships, like the time they designed the interior of the AMC Hornet station wagon. Knockoffs were everywhere, and the grandsons started fighting—physically. One business meeting ended in blows, and reportedly one of the grandsons bashed the other one in the head with an answering machine and knocked him out cold. 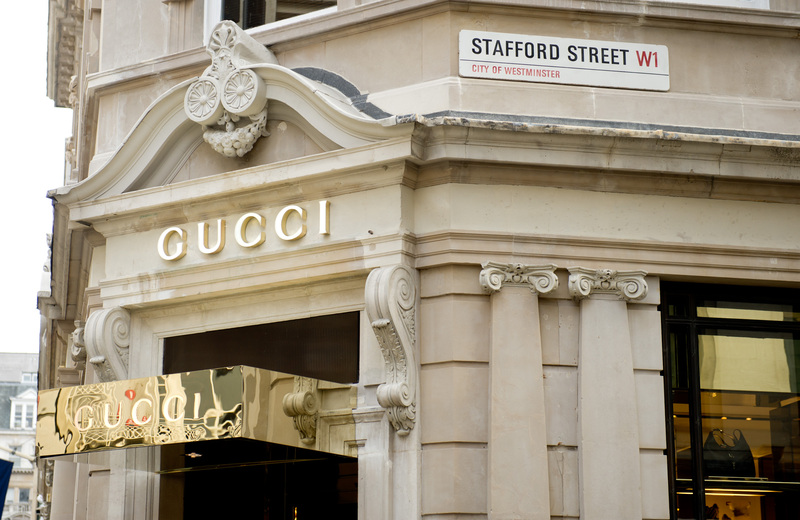 But when Rodolfo Gucci, one of Guccio's sons, died in 1983 and left his share to his son Maurizio, Maurizio pushed out his uncle Aldo and eventually sold the company, which went public. Non-Gucci-family-members were brought in as designers, presidents and CEOs, and the brand has flourished since. Prada has a story similar to Gucci's, but the line is younger and the Italian city it started in is 155 miles north. 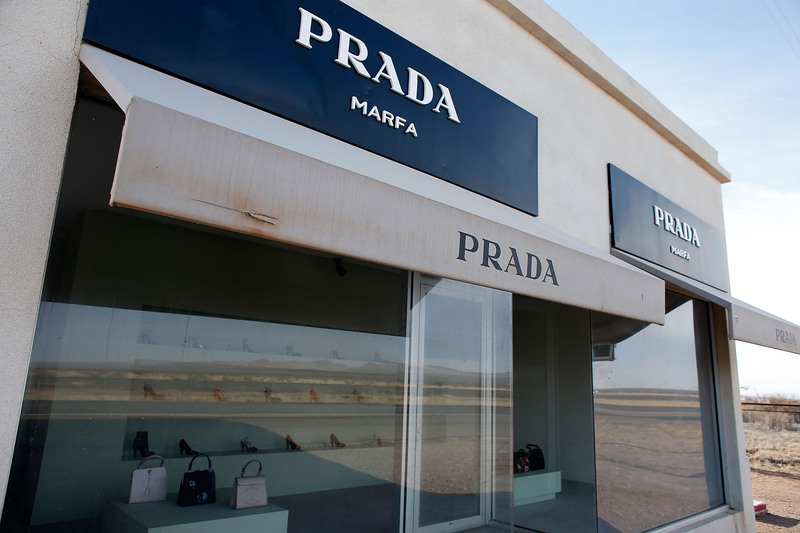 Prada, founded by Mario Prada, dates back to Milan, Italy, 1913. Mario sold steamer trunks and imported handbags. When Mario passed away in the '50s, his son wasn't really interested in taking over the leather goods store, and a woman running the store would have been out of the question. Prior to Mario's death; a female family member even working in the store wasn't possible as Mario didn't believe women belonged in the workplace. So he probably rolled over in his grave when his daughter-in-law took control of the business, but she maintained the store for 20 years. It wasn't until her daughter, Miuccia, took over in the late '70s that the brand really exploded. Miuccia started designing leather backpacks and totes, and she opened a second store—this one a boutique—in an upscale shopping district in Milan. Clothes were added to the line in 1989 and the name has been cemented in the high fashion market ever since. 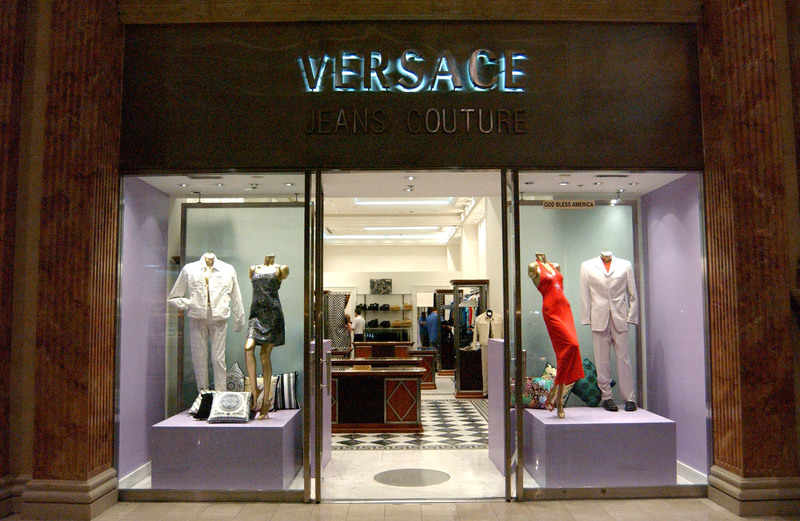 Versace is the newest brand on the list—it was founded just 31 years ago. Gianni Versace grew up helping his mother, a dressmaker, embroider dresses and do tailoring. He studied architecture and moved to Milan when he was 26 to work in fashion. After working for a couple of designers, he was ready to start his own line and opened his first store in Milan in 1978. The line was successful right away, exploding with boutiques around the world. When Gianni was killed in 1997, his sister Donatella stepped in to run the company. The biggest share of the company belongs to Donatella's daughter, however: Gianni left 50 percent of the company to Allegra to inherit when she turned 18 (which happened in 2004). Donatella owns 20 percent and Santo, the oldest Versace brother, owns 30 percent. 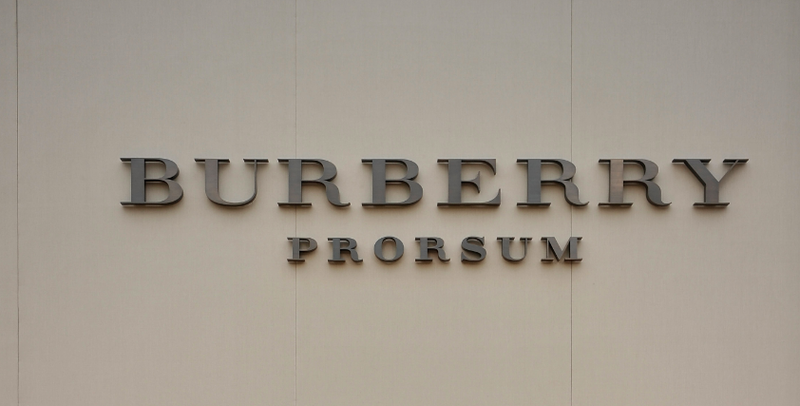 By contrast, Burberry is the second oldest house on the list. In 1856, Thomas Burberry opened a store in Hampshire, England, focusing on practical outdoor wear. After some experimentation, Burberry invented gabardine in 1880, a fabric made from yarn that is waterproofed before the garment is woven. Based on this and on his growing reputation, Thomas was asked by the War Office to make a better coat for its officers; the result was the trench coat. The famous "Burberry Check" was first used as a mere lining for a trench coat in 1924. In 1967, the pattern was expanded to scarves, umbrellas, boots and just about everything else, which is part of the reason the brand is so ubiquitous today. 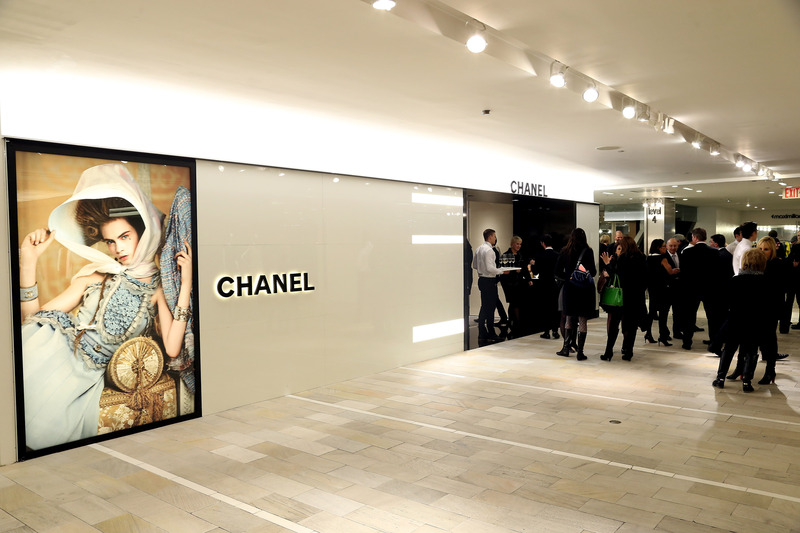 Chanel was founded, of course, by Gabrielle Chanel, better known as Coco. She was only 12 when her mother died, and to make matters worse, her father then abandoned the family. Coco and her siblings were sent to an orphanage, which is where she learned how to sew. She was briefly arrested after France was liberated because of her attempt to gain access to Winston Churchill—it was widely believed that she was helping the Axis side. Indeed, she did live in the same hotel that the Germans used as their headquarters while they were in France, the Hotel Ritz Paris. Churchill himself intervened on her behalf, but she was worried about the French retaliating against her and made her home in Switzerland instead. During her self-imposed exile, her business partner, Pierre Wertheimer, took over the business and things were never quite the same for Coco after that. 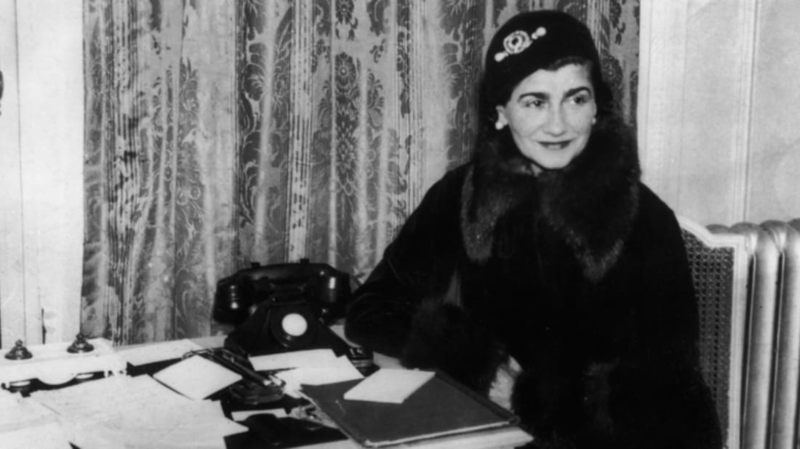 Coco died in 1971, and generations of Wertheimers have owned Chanel ever since. Alain Wertheimer took over in 1974 and is the one who convinced head designer Karl Lagerfeld to leave Chloe and come to Chanel. Dior was founded by Christian Dior, whose parents desperately wanted him to attend school to study politics. He appeased them at the Ecole des Sciences Politiques from 1920 to 1925, but he didn't give up his fashion dream: He sold his sketches for 10 cents each on the street. A couple of years after he graduated, though, his family lost their fortune and he was free to pursue whatever he wanted—which was, of course, clothing. After putting in time at a couple of fashion houses in France, Christian opened his own line in 1946 and originally named it Corolle. He died in at age 52 of a heart attack, but the cause has been disputed. Some say he choked on a fish bone, which induced the heart attack; those close to him say it was brought on by a particularly vigorous sexual encounter. Givenchy was the brainchild of Hubert de Givenchy, who certainly didn't have a hardscrabble childhood like Coco Chanel did, and definitely didn't start small like Gucci and Prada. Hubert was born into French aristocracy—his father was Lucien Taffin de Givenchy, Marquis de Givenchy. And creative genes ran in his family: His great-grandfather and his great-great-grandfather were both designers, creating for the Elysee Palace and the Paris Opera, respectively. After seeing the 1937 World's Fair in Paris, Hubert (then 10) decided that he wanted to go into the field of fashion. He was just 18 when he started designing for family friend Jacques Fath, and after spending some time with designer Elsa Schiaparelli, he opened up his own House of Givenchy in 1952. He was only 25, but because of his connections and his innovative designs, age didn't matter. He met Audrey Hepburn in 1953 and they hit it off so well that he designed almost all of her movie wardrobe from then on. Givenchy retired from fashion in 1995. 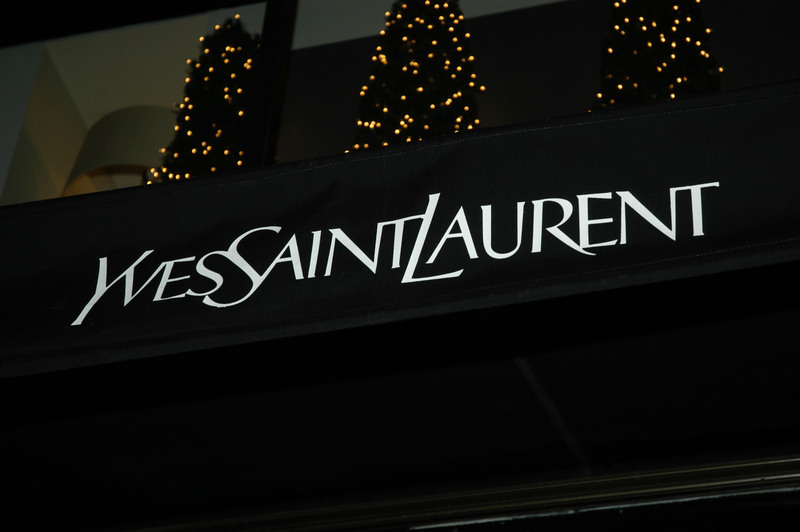 Yves Saint Laurent (we know—more than one name) came to fashion by way of the theater, sort of. He was severely bullied at school as a kid and would come home and try to escape his troubles by acting out plays for his parents. He loved reading the theater reviews in the French Vogue and ended up being fascinated by the clothes as well. He began formal fashion study at the Chambre Syndicale and entered a design competition that led to him designing for Christian Dior. (Incidentally, he beat out Karl Lagerfeld to win that competition.) Dior liked him so much that he named young Yves as his successor, and as mentioned above, Dior died at a fairly young age, leaving Yves in charge of the House of Dior at the age of 21. Despite his new status, he ended up having to serve in the French Army during the Algerian War of Independence in 1960 (there's rumor that some of the powers-that-be in fashion didn't want him heading up Dior and pulled some strings with the government), and when he came back, he found he had been fired from the company. After suing Dior for breach of contract (and winning), Yves decided to start his own company in 1962. It did very well, attracting the likes of Catherine Deneuve. Gucci bought YSL (the brand, not the guy) in 1999, and Yves himself died in 2008. 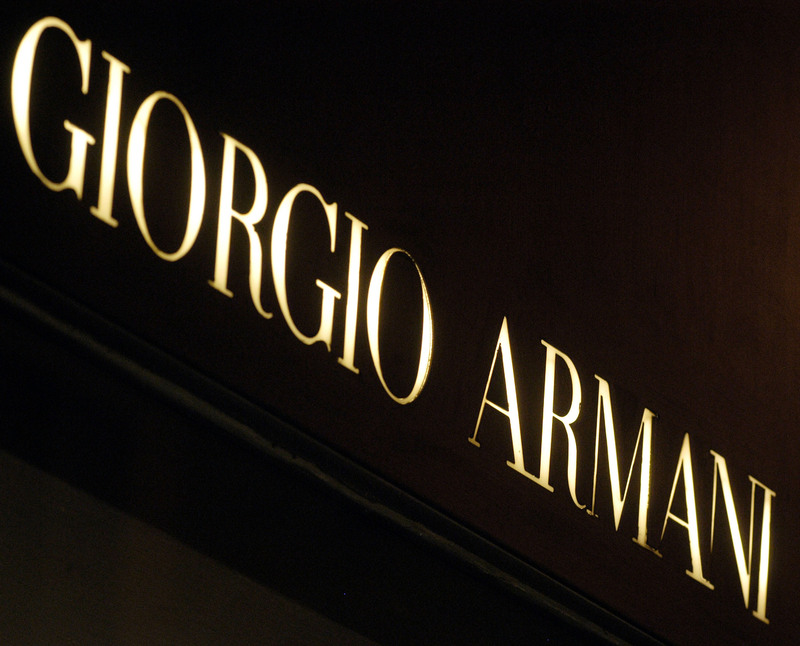 Armani is another young fashion house compared to most on this list. From 1961 to 1970, Giorgio Armani was an assistant designer for Nino Cerruti. By 1974, he had decided that he wanted his own line, and with just $10,000, he launched one. He quickly became a Hollywood favorite, and when word got around that Richard Gere had worn an Armani suit in 1980's American Gigolo, he and his clean-lined designs immediately achieved icon status. And he's still outfitting movie stars today—he was responsible for Christian Bale's suits in The Dark Knight. We started with a saddle shop and we'll end with a saddle shop. 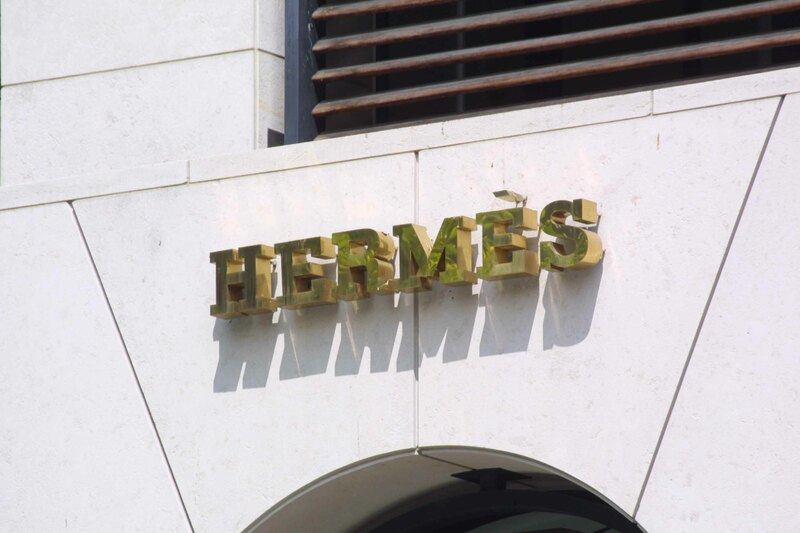 In 1837, Thierry Hermès opened a harness workshop for fine equestrians and European noblemen, and became very popular. After his son took over the business, the shop was relocated to a more citizen-friendly area, where they began selling saddlery as well as harnesses. The business became so renowned that the name was familiar as a purveyor of luxury goods internationally. When Thierry's grandsons inherited the business sometime around 1910, they obtained the rights to use the zipper and started making clothes. They didn't start at the bottom—their first zippered golf jacket, made out of leather, was commissioned for the Prince of Wales. Handbags were added to the blossoming line in 1922 after one of the grandsons' wives complained she couldn't find a purse to her liking, and by 1924 they had two shops in the U.S. The famous (or infamous, if you're a Devil Wears Prada fan) Hermès scarf was introduced in 1937 and achieved instant cult status. When Grace Kelly appeared in Life magazine carrying an Hermès Haut a Courroie bag, they instantly renamed it the Kelly and it became one of the best-selling bags in fashion history. It's still a hot item. They're also the ones who make the always in-demand Birkin bag, named for actress and style icon Jane Birkin (though she recently asked for her name to be removed from the crocodile skin version).